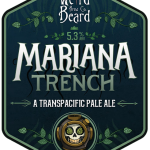 “Weird Beard Brew Co are two award-winning homebrewers wanting to take their passion for drinking and creating great hand-crafted beers out of the kitchen and beyond the garage. And before you ask, yes, Gregg and Bryan do sport some very impressive facial hair. Here at Weird Beard Brew Co we are all about the beards, but not so much the sandals. We are passionate about good beer, no matter where it comes from or how it is dispensed. You will find us in bottle shops, on cask in real ale pubs and in the best London beer bars on keg. 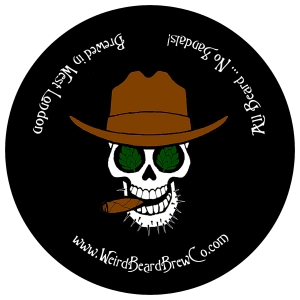 Weird Beard Brew Co is a full on, no compromise brewery, brewing great tasting and genre-busting beers…hold on to your taste buds and come along for the ride! NO GIMMICKS, NO CRAP AND NEVER KNOWINGLY UNDER HOPPED.